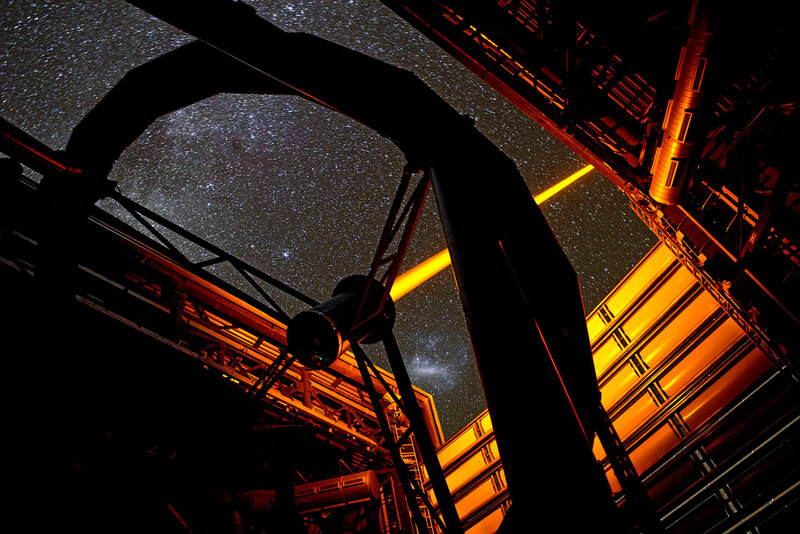 A new and more powerful laser has successfully completed testing at ESO’s Paranal Observatory and has been formally accepted today. This new laser source is called PARLA and forms a vital part of the Laser Guide Star Facility (LGSF) at ESO’s Very Large Telescope (VLT). The laser is used to generate an artificial star about 90 kilometres up in the atmosphere . By creating and observing such a bright point of light astronomers can probe the turbulence in the layers of the atmosphere above the telescope. This information is then used to adjust deformable mirrors in real time in order to correct most of the disturbances caused by the constant movement of atmosphere and create much sharper images. The new laser will greatly improve the reliability and flexibility in operating the LGSF. 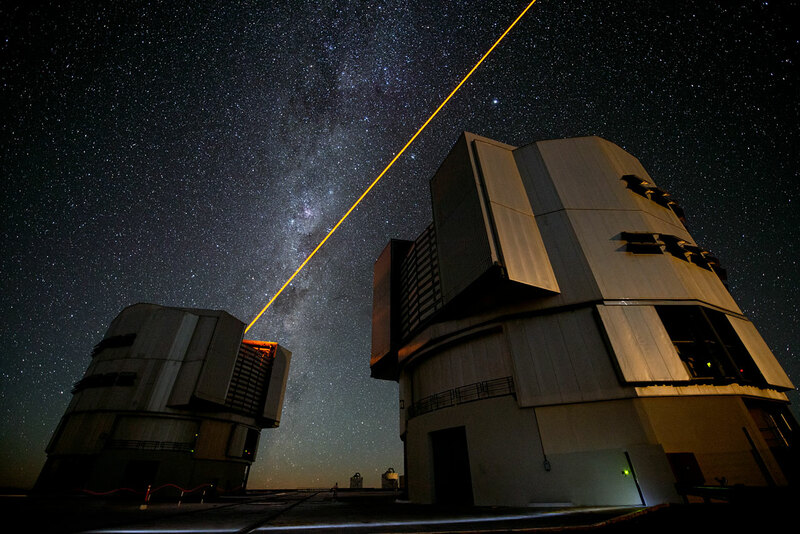 It uses similar technology to that which will also be employed in the four lasers of the future Adaptive Optics Facility currently under development at ESO. The new laser delivers up to 7 Watts of output and is very stable. During the commissioning and for demonstration purposes, some challenging targets were successfully observed using the new laser in conjunction with different VLT instruments. These included the dwarf planet Haumea and its moons and the peculiar radio galaxy Centaurus A. This upgrade of the laser source takes advantage of a new solid-state Raman fibre laser technology currently under development at ESO, together with industrial partners, for the ESO Adaptive Optics Facility. It has already demonstrated greater reliability, which makes difficult observations possible more often. This facility will allow ESO to carry out challenging programmes that need laser guide stars every time the atmospheric conditions are suitable. The original PARSEC dye laser used so far was close to the end of its lifetime after six years of service, during which it helped to make important new discoveries. The upgrade simplifies greatly the laser operation and gives astronomers more flexibility in planning their observations. An artificial star is created where the laser interacts with the 10-kilometre thick layer of neutral sodium atoms in the mesosphere causing them to fluoresce. Atomic sodium has an optical transition at a wavelength of 589 nanometres. The laser parameters are tuned to efficiently excite this atom.